I’ve been wearing the Adidas Terrex Fast R GTX‘s for most of my adventuring lately and I love them. They’re light weight but stable, have incredible traction, and edge decently well for a non-approach shoe. I feel much more stable on steep terrain than in my old Keens. They use the Continental Tire Rubber which feels very stable in most conditions. 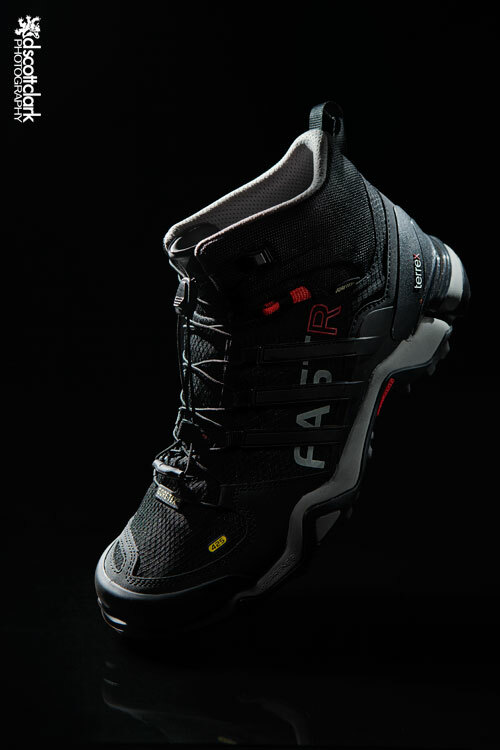 Edit: I’ve updated my review of the Terrex Fast R GTX! Click HERE to check it out! Low Key product photo of Adidas Terrex Swift Solo shoe. 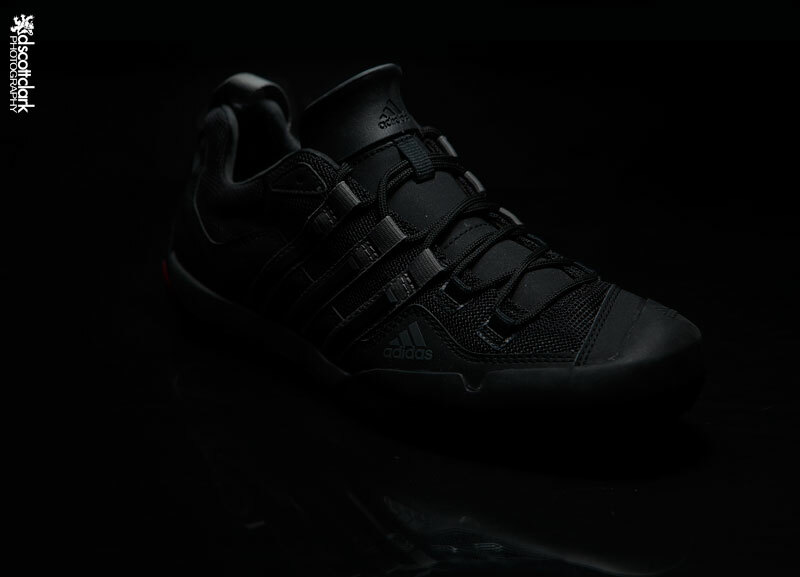 Also the Adidas Terrex Swift Solo approach shoe has been a nice addition. I’ve worn them while climbing 5.10’s and they’re comfortable around town. A bit lighter than the Scarpa’s and quite a bit more attractive, I think. I grab them for many different occasions.